Do I Need Hammer Arrestors In My PEX Plumbing? 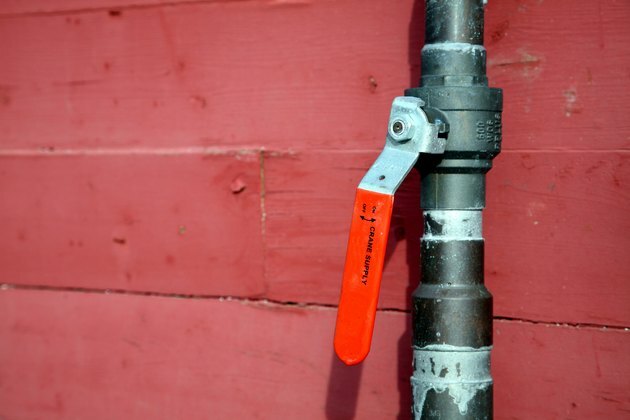 If you ever hear a loud, banging noise inside your plumbing, chances are that water hammer is to blame. The phenomenon is potentially destructive to your pipes over time and should be managed using a device known as a water hammer arrestor. Understanding more about water hammer and how to use arrestors in your PEX plumbing will help you prevent problems caused by water hammer. Water hammer arrestors can be installed on PEX plumbing. When water suddenly rushes to the end of a faucet or other plumbing fixture, it's known as water hammer. Water hammer is caused when your pipe quickly fills with water or stops when a faucet or valve is turned on or off. The rushing water bangs against the pipe. You can hear and feel water hammer in most cases by quickly shutting on and off the water. Over time, water hammer can damage plumbing components by repeatedly hitting the end of the pipe or fixture. Water hammer also can burst pipes in extreme circumstances. PEX plumbing is also known as crosslinked polyethylene, which is a compressed plastic material that is both durable and corrosion resistant. PEX plumbing is rated to carry both hot and cold potable water, unlike traditional PVC pipe, which is limited to carrying only non-potable cold water. PEX plumbing attaches to devices using copper crimp rings or push-style fittings that are compatible with PEX, copper or CPVC pipe. PEX is more affordable than copper pipe, with many of the same benefits. Water hammer arrestors are devices that fit in line with the pipe. An arrestor has an empty section of space above the pipe into which rushing water can expand. This space prevents the water from hitting the end of the pipe with tremendous force and can help prevent wear and tear on fixtures. One arrestor should be installed on each pipe where water hammer is present. Test each line in the home for signs of water hammer by quickly turning the faucets on and off and listening for a loud bang, or by feeling the fixture for a sharp vibration. Arrestors to fit PEX pipes are usually compression fittings that do not require glue or soldering to attach. Instead, a PEX arrestor typically will attach by pushing one end of the water pipe into the fitting and continuing the line out the other side of the arrestor. Some PEX water hammer arrestors attach using a crimp ring, but these require additional tools and plumbing experience to attach. Look on the label of a water hammer arrestor for the "PEX compliant" label. Why Do My Pipes Make Noise When I Turn on My Water? Why Is My Kitchen Faucet So Noisy?